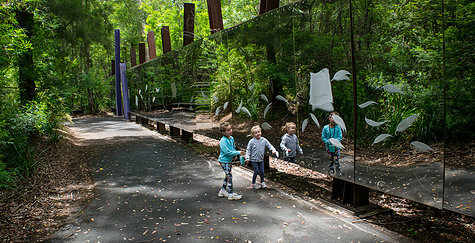 Coalmine Beach Holiday Park is the perfect base from which to explore WA’s Southern Forests and Valleys unique attractions. Visitors to the Walpole Wilderness Area will be entranced by its stunning coastlines, soaring forests, freshwater river systems and a host of native Flora and Fauna. 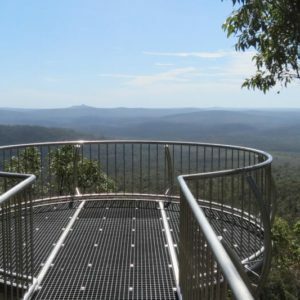 Some of the many attractions to discover are listed below, including information about the World Famous Tree Top walk, Discovering our Native Orchids and Wildflowers, Walking and Riding Trails plus Walpole’s very own Wilderness Eco Cruise with Gary Muir. 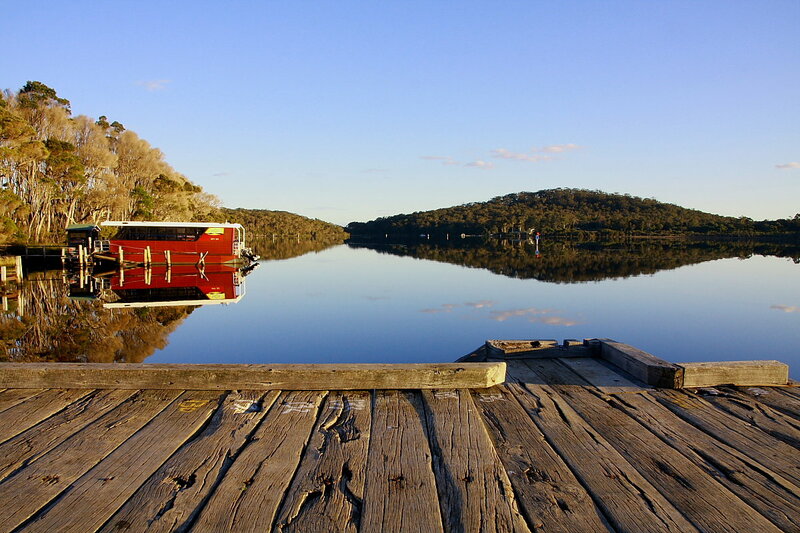 Nornalup Inlet, with its shallow, warm waters, is only 100 metres from your accommodation and is a safe haven for families seeking some well-earned beach side relaxation. The inlet is mostly protected and makes for a great location to try stand up paddle boarding or kayaking with the kids. We even have a boat storage area for your boat and a boat ramp conveniently located next door at the Walpole Yacht Club. You can take the family for a cruise on the inlet or venture up one of the three the rivers and discover the natural beauty of calm water ways with trees growing right up to the water’s edge. Take a picnic and anchor up at a deserted beach on the inlet or a sandy nook on the river. Kayak hire is available from the Nornalup Riverside Chalets. More information on our Inlet Marine Park can be found by clicking the link. Just 15 kilometres west of the Tree Top Walk, Coalmine Beach Holiday Park is perfectly located for your walk above the Trees. The tree top walk is open from 9:00am every day of the year except Christmas day, last tickets sold at 4:15pm, with extended opening hours from 26th December to 26th January each year. The Walpole Wilderness area consists of a number of national parks and reserves, it safeguards areas of environmental, biodiversity and indigenous significance. 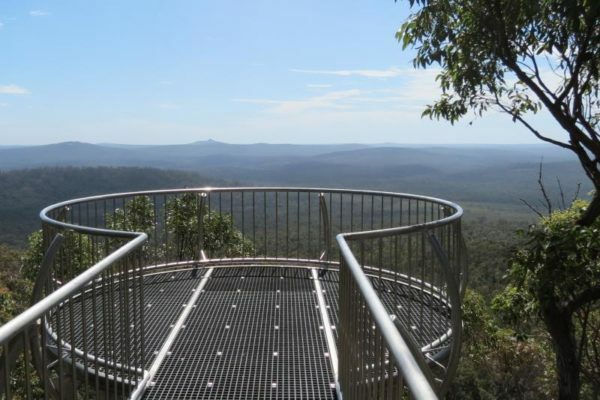 The Tree Top Walk soars 40 metres into the forest canopy and opens up a world that most people never see. The Walk is fully accessible to all people including prams and wheel chairs. The Ancient Empire Walk meanders through a grove of veteran trees at ground level and gives visitors another perspective of these magnificent giants. Free guided walks available most days. Tickets available for purchase from the Walpole Visitor Centre and a percentage of ticket sales goes straight towards the operation of our excellent information hub. The Valley of the Giants staff prepare a wonderful school holiday program all year long so be sure to pencil in a guided tour through the big trees, use the Nature Guide App on your smartphone or tablet to learn about the diverse range of flora species in the area or go for a late night walk on friday nights during the school holidays 6-9pm, be sure to bring a torch so you can spot the nocturnal animals and wildlife. The South West Nature Guide App can also be used around Coalmine Beach Holiday Park and at the back of the Walpole Visitor Centre, on the Horse Yard Hill Trail. The Walpole Nornalup National Park is a haven for native flora, including the world-renowned Giant Red Tingle trees. As tingle trees age, their relatively shallow roots spread, resulting in a unique buttressed trunk that is often hollowed out at the base by fungi, insects and wildfire. Growing up to 75 metres tall and living for over 400 years they are truly the majestic giants of our region. See for yourself just how impressive these ancient trees can be by visiting the Giant Tingle Tree, Located at the Tree Top Walk – with a base circumference of 24 metres. It is regarded as the world’s largest girthed, living, Eucalyptus Tree. The second very old and large Tingle is located on Hilltop Road, opposite Coalmine Beach Road. With such a diverse habitat to thrive in we have many other species of trees including: Giant Karri trees, Tall Rates and Yellow Tingle trees, Jarrah, Blackbutt, Peppermint and Paper Bark trees. Internationally renowned as one of the world’s greatest long distance walking trails, The Bibbulmun Track extends nearly 1000 kilometres from the Perth hills to the coast of Albany on the state’s southern edge. The Walpole portion of the Track offers unrivalled views of rugged coast, tingle forest, heathlands and low woodlands. The track runs straight through Coalmine Beach Holiday Park which makes for an easy stop over whilst conquering the Walpole to Denmark or Walpole to Northcliffe sections. We are a Walker Friendly Business and offer discounts to all Bib Track Members, including small unpowered tent sites to comfortable en-suite chalets. We can also arrange local drop off for day walks out of peak season, if prior arrangement is made. Check The Bibbulmun Track website for more information on day walks and the section by section guide. Be aware that the Department of Parks and Wildlife are constantly planning prescribed burns and track management all year round. Please check the National Parks website for track closures and diversions before you begin your journey. The Bib Track section at Coalmine is around 400m long starting from either end of Coalmine Beach Holiday Park, from the bottom carpark to the front office or visa versa. Our section has been allocated with Nature Guide tags that can be used in conjunction with the Nature Guide App on your smartphone or tablet. For more information on the Nature Guide App and tagged locations check out their facebook page: SouthWest Nature Guide App. The Munda Biddi Trail is a off-road cycling trail running over 1000 kilometres from Mundaring in Perth to Albany in the Great Southern, the longest track of its kind in the world. This trail passes through many National Parks around the Walpole area and has different skill sets for different sections. If you would like to experience a world class, nature based off road cycling adventure then Walpole will put you right in the heart of mountain bike country. Organise your ride from Northcliffe to Walpole or Walpole to Denmark and stay overnight at Coalmine Beach Holiday Park. 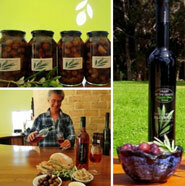 Section by section information is available on the Munda Biddi website. Be aware that the Department of Parks and Wildlife are constantly planning prescribed burns and track management all year round. Please check the National Parks website for track closures and diversions before you begin your journey. Ornithologists will find an abundant and fascinating array of habitats to explore in the Walpole-Nornalup area. 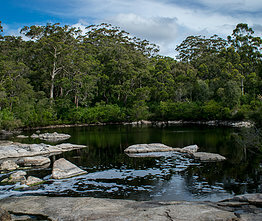 The area is so vast that you will have the potential to visit Karri and Tingle forests, the shoreline and shallows of the Walpole and Nornalup Inlets, the Frankland and Deep Rivers, the Southern Ocean coastline, Aeolian dunes, heath lands, granite outcrops and swamp areas. Due to the mosaic nature of the vegetation and the high mobility of most bird species there is a considerable overlap in the species richness between all these land forms. 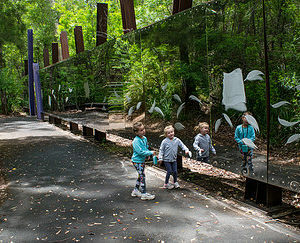 Coalmine Beach Holiday Park is home to the famous Blue Wren, Red-Winged Fairy Wrens, Red Tail Cockatoos and Kookaburras, whose laughing call rings out loud across the park and forest. Walpole has a beautiful display of Native Wildflowers and Orchids, some species starting from as early as June but most won’t open until September right through to November each year. The Southern Forests and Valleys region celebrates The Blooming Wild Festival from September to November each year which allows visitors and locals to discover, identify and capture photos of the beautiful flora species found throughout our biodiversity hotspot. In addition to the beautiful Orchids you will also come across a lovely variety of Native Wattles, Banksias and Crowea flowers. The main water feature of Walpole is the Nornalup Inlet, which has not been fished in commercially since the 1920’s and is fed by two main river systems, the Deep River and the Frankland River. The Nornalup Inlet has some fantastic light tackle fishing action, target fish species are Black Bream, King George and Yellow Fin Whiting, Skippy, Flathead and Silver Bream. Walpole waters are relatively un-spoilt and it is quite easy to escape to a deserted beach for a fish. Boat storage is available at the Park and our shop has plenty of bait all year round. People use private boats and kayaks for fishing in the inlets with boat ramps at Coalmine Beach, Rest Point and the Town Jetty. Other good fishing spots outside the Inlets are Mandalay Beach, Peaceful Bay and Conspicuous Cliffs. Whether you are a lifelong fishing fanatic or you just bring out the rod and reel while on holidays, Walpole offers excellent beach and offshore fishing all year round. Fishing licences can be purchased online and are compulsory for specified fishing activities and target species. Please visit the Fishing WA Website for more information or download the RecFishWest App for your smartphone. The story of Walpole’s Yacht Club starts in 1956 when local boat builder, Terry Swarbrick purchased a small yacht from a visitor who was staying at Rest Point. Terry sailed his yacht with friends from Walpole and soon the community was buying boats and establishing a Yacht Club! The Club became formal in 1958 and moved to its current location at Coalmine Beach on the Nornalup Inlet in 1959. It is the honour of being the only Yacht Club in Australia in the middle of a Marine Park. It is fondly known amongst enthusiasts from far and wide as one of the Top 10 sailing locations in the world! Every year on the Labour Day long weekend, Walpole hosts the annual Sailing in the Trees Regatta. Clubs from far and wide compete in the two day competition and make Coalmine Beach Holiday Park their base camp. After a huge day out on the water guests can move into camp only 100 metres above the shores of the inlet and relax around the campfire. The Yacht Club is open on Sundays usually during December/January for club meets. You can join the club members and borrow a small yacht, boat or paddle board for the morning, for a small fee. From the versatile coast lines of limestone cliffs and sandy dunes to the thickest of native scrubs and Karri forests, Walpole has the most diverse four wheel driving tracks in the South West region. Located mostly within National Parks you will need to pay for day visits at the Department of Parks and Wildlife’s pay stations, or purchase a parks pass for the region. It is important to remember that Four Wheel Driving can be dangerous to the inexperienced driver. Ensure you have taken the time and effort to thoroughly plan your adventure and pack the appropriate recovery equipment should you need it. 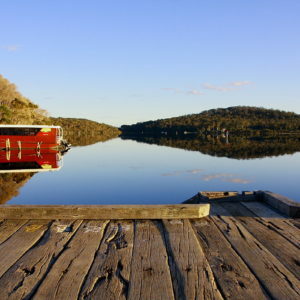 Some of the many four wheel driving beaches are Long Point, Banksia Camp, Blue Holes and Rame Head near Peaceful Bay. Information on days passes can be found on the Parks and Wildlife website. The Department of Parks and Wildlife states on their website: “4WD vehicle owners and drivers who access public lands have a responsibility or ‘duty of care’ to help protect Western Australia’s flora, fauna and natural landscapes so that future generations of users will be able to enjoy what we now take for granted. Please respect the environment you are entering and take all rubbish with you”. Visitors from all over the world rave over how fantastic this cruise is. Take a journey on the Walpole – Nornalup Marine Park and indulge your senses, cruise out to the Nuyts Wilderness overlooking the Southern Ocean. Hosted by the well known, Nationally accredited tour guide, Gary Muir who has now been navigating the inlet for over 22 years. 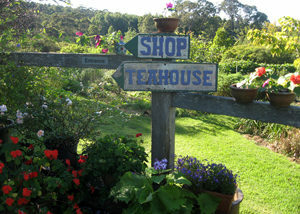 Enjoy a very informative and entertaining two and a half hour journey to the other side, docking up at Settlers Cove where morning tea is served including homemade lemon tea cake. Once docked you can walk along side Gary over to Shelly Beach which was the touchdown point of the very first settlers to arrive in Walpole. Try to take in as much as you can before the cruise returns to the town jetty. Tickets can be purchased from the Walpole Visitors Centre and departs every day from the town jetty at 10:00am. (WOW cruise is closed for the month of August each year). Christmas Eve BBQ and Santa Visit: Coalmine Beach Holiday Park, All booked in guests welcome. 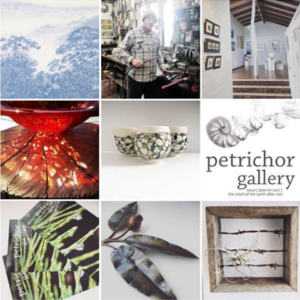 Walpole’s Petrichor Gallery, featuring locally sourced products and creations from local artists & artisans.